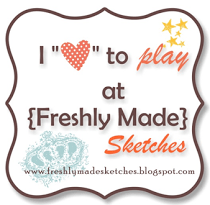 I am on the Design Team for a new challenge blog: useitorloseitctmh.blogspot.com. This blog is focusing on using up your stash. Challenges will be every other Friday and will feature Close to My Heart products. Be sure to check it out! The first challenge is to use your first CTMH stamp set. 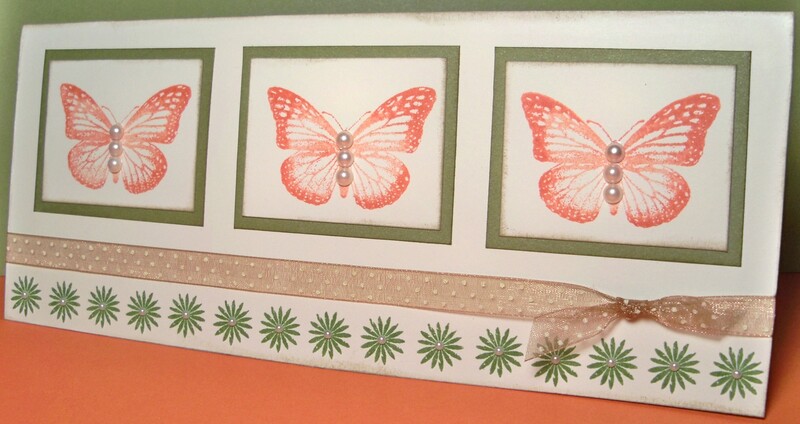 I chose Celebrate Life which was one of the stamp sets I received in my consultant kit. Supplies used are all Close to My Heart: Celebrate Life stamp set, Ribbon Rounds – Chocolate Collection, Colonial White & Olive cardstock, Sunset, Olive, & Chocolate inks, and Opaques Pearl Adhesive Gems, and Bitty Opaques Pearl Adhesive Gems. Supplies used: Wooden letters purchased at Hobby Lobby, CTMH Sophia Paper Pack, CTMH Sophia My Stickease, CTMH Cricut Art Philosophy cartridge, Mod Podge, CTMH Sparkles, CTMH Hollyhock & White Daisy cardstock, CTMH Stardust Glitter Glitz, CTMH Hollyhock Stitched Ribbon, and CTMH Sparkle Flourishes. This month’s challenge at Scrap Our Stash is to LEAP and you can interpret that however you like. For me, I have so many projects that I want to do but never have the time. So I decided to just leap into one of these and get it done! I purchased these letters at least 2 years ago for my scrapbook room with good intentions and never did anything with them. I am very pleased with how they turned out and I’m excited to have new decor to add to my room. I covered the letters first with the Sophia papers using Mod Podge, then added the embellishments. All the diecuts are cut from the Art Philosophy Cricut cartridge. I added Glitter Glitz randomly to the flowers to give them a more real feel. When I went to hang the letters, they didn’t fit exactly where I wanted them (centered over my dry erase board) so I did the same thing I think of when I’m doing a scrapbook page. I offset them instead of doing a straight line. I thought they fit that way but when I went to actually hang them, they didn’t. But they’re hung now and it’s done. I’m just going to try to not let it bother me that they are not centered.